WATERCOLOR & ACRYLIC BOOK. 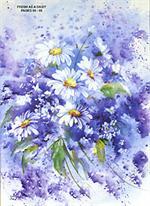 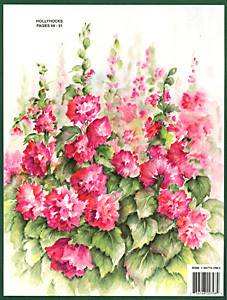 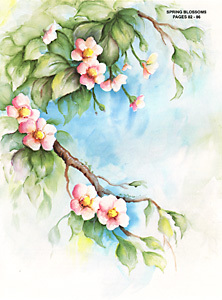 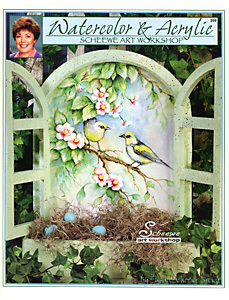 Sue brings to you step by step instructions to create a variety of paintings aired on her successful PBS television series. 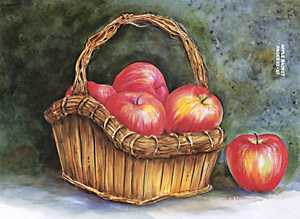 Projects are painted in both watercolor and acrylic. Whatever medium you choose, you will love this book.Paint a rustic basket full of apples, yellow lilies set against a country brick wall, ribbons and roses painted on a chest and quilt to match, a wheelbarrow full of bright geraniums, daisy bouquets, rhododendrons, blueberries in a twig basket, spring cherry blossoms and sweet warblers on a cherry blossom branch. 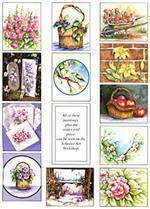 This book contains many more designs you can paint on furniture, watercolor paper or greeting card.